The Republic of Panama is the long and narrow isthmus that connects Central America to South America. There are differing opinions of etymology of Panama, but the most common belief is that it literally means “an abundance of fish.” With the Panama Canal, Zane Grey’s Reef, and the Hannibal Bank it would seem fitting even today. Panama is much more than just the home of the Panama Canal, it offers rich European history, incredible rain forests and biodiversity, over 1,500 miles of coastline between two ocean, and hundreds of tropical islands. Being the land bridge between Central and South America Panama has a long history of diversity and change. The oldest indigenous artifacts date back to 2000 BC as local tribes lived by hunting, gathering, and fishing. The Spaniard Rodrigo de Bastidas was the first European to discover Panama, followed by Christopher Columbus in 1502. In 1513 Vasco Nunez de Balboa was the first explorer to lay eyes on what the indigenous people had been telling everyone, that Panama was a narrow isthmus with an entirely separate ocean than the one they arrived on. 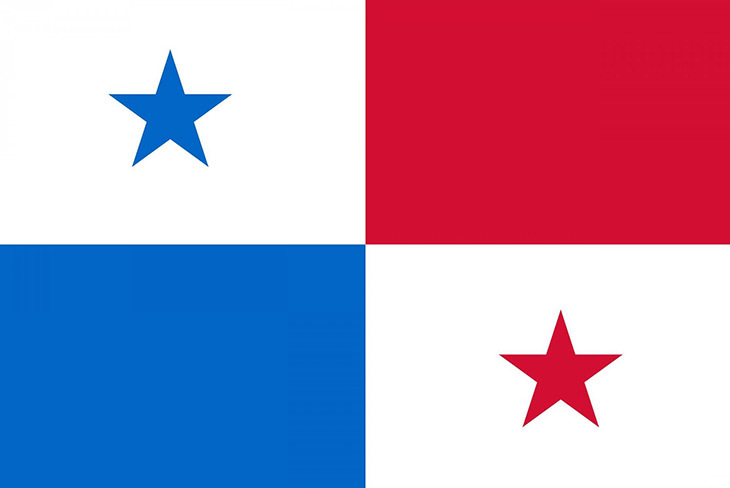 Like many of its neighbors, Panama gained independence from Spain in 1821 and became part of the Gran Columbia (Columbia, Venezuela, and Ecuador). That union lasted only nine years and in 1830 Panama remained part of Columbia. With the help of the United Sates, Panama gained its independence from Columbia in 1903 and quickly thereafter signed an agreement with the USA to start construction on the Panama Canal. After the extreme conditions, heat, and disease thwarted several attempts by the French to build a canal, the US Army Corps of Engineers began construction in 1904. Ten years later the Panama Canal was finished and remains as one of the world’s greatest feats of engineering 100 years later. In the year 2000 the United States gave full control of the canal to Panama, a proud day in the country’s history. Despite growing industries of banking, international business, and tourism the Panama Canal remains the largest industry in Panama today. Panama continues to have a rich and varied culture drawing influences from all over the globe. Being the land bridge between two continents Panama is home to indigenous tribes, Central Americans, South Americans, Chinese descendants, Afro-Caribbean slave descendants, and even a faction of American-Panamanian descendants from the 100 years the US military occupied and managed the Panama Canal. The population of 3.6 million is steadily growing and in general well educated. Of that, the vast majority (over 70%) are mestizo (European & indigenous descent). The remaining minorities include mulattos, Afro-Caribbean, and local indigenous tribes. With a high standard of living, good healthcare, and job opportunities Panama attracts foreigners from all over the Americas. Panama itself features two main cultures – Panama City and everywhere else. The people in Panama City are a business-minded folk and they work hard, dress well, and live for business. Outside of the city Panamanians are much more relaxed, easy going, and take each day at as it comes. Panama is a long narrow isthmus that actually runs east to west, not north and south like the rest of Central America. It sits at about 9 degrees north and 80 degrees west. With two oceans Panama has an abundance of coastline – over 1,500 miles of it – and literally hundreds of islands. It features dry rain forests, tropical rain forests, cloud forests, over 500 rivers, and a volcano with the highest point in the country at 11,40 ft. (Baru Volcano). Whether you are bird watching in the dense Darrien Jungle, fishing at the Hannibal Bank, or white water rafting near the volcano Panama has something for everyone. Being a tropical country with two coastlines one can imagine that the weather in Panama can be pretty diverse. A general rule is that the dry season runs from December through April while the green season is from May to November. During the green season most days start off hot and sunny and then cloud up with a quick afternoon shower. September and October tend to be the wettest months of the year although it can rain at any time on the Caribbean Coast. Panama does not have to worry about hurricanes being so far south. Temperatures average in the low 80s but humidity is often in the 90s so Panama can be quite hot and muggy, fortunately however air conditioning is everywhere.